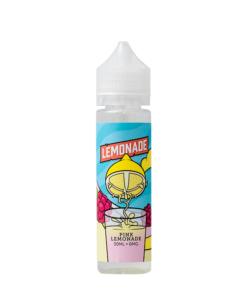 Vape Lemonade is a gourmet e-liquid manufactured by Vapetasia who are based out of Las Vegas, Nevada, USA. Their mission is to simply strive in making only the highest quality juice possible, using the finest ingredients in a sterile environment. Vape Lemonade offers three classic flavours: Pink Lemonade and Blackberry Lemonade & Peach Lemonade. The perfect balance between sweet and tart, for your next all day vape!